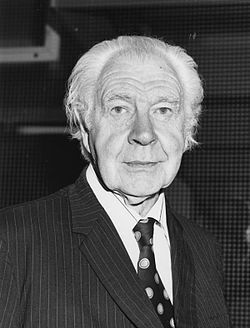 Lionel Robbins was die ekonoom wat Friedrich von Hayek aan die London School of Economics bekendgestel het. In sy 1934-boek, The Great Depression, het hy ‘n diagnose en oplossing vir ‘n herhaling van die Depressie voorgestel. Ek hou baie daarvan – en staan in verwondering teenoor sy latere afstanddoening hiervan (ten gunste van Keynesiaanse posisies). It would be foolish to pretend that the structure of capitalistic industry is such as continually to achieve the ideal competitive adjustment. But it is fairly clear that the most conspicuous failures to tend in this direction depend in one way or another on authoritarian measures which tend to foster monopoly. If, therefore, it is desired to eliminate these sources of instability, the policies of States in relation to industry must undergo complete revision. It must be a maxim of State policy to do nothing to bolster up monopoly. The habit of intervening to prop up unsound positions and to support particular interests must cease. Nothing must be done which will encourage business men to believe that they will not be allowed to go under if they make mistakes or if the conditions of the market make necessary a contraction of their industry. Instead of being more and more an official of the State, hampered on all sides by administrative rules and regulations, the business man should be freed as far as possible to perform that function which is his main justification in a society organised, not for the benefit of the part but of the whole, namely, the assumption of risk and the planning of initiative. The same principle must underlie the treatment of private property. Property must be left to stand on its own legs. Intervention to maintain the value of existing property — i.e. to frustrate the effects of change in the conditions of demand and supply — must cease. The property owner must learn that only by continually satisfying the demands of the consumer can he hope to maintain intact its value. Only in such conditions can we hope for the emergence of a structure of industry which is stable in the sense that it can change without recurrent catastrophe.